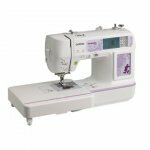 The Innov-is 950D computerized combination sewing and embroidery machine offers all the standard features you'd expect, plus advanced extras that make it the ideal machine for hobbyists of all skill levels. 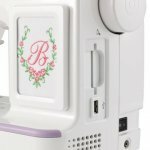 A built-in USB port allows you to easily import designs from the USB memory stick, expanding your design capabilities beyond the generous 105 built-in embroidery designs (35 of which feature Disney® characters). 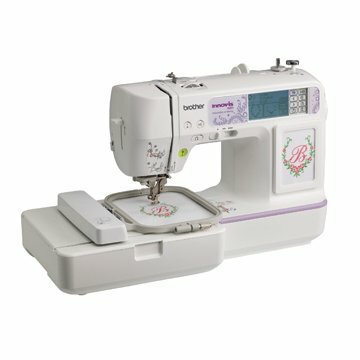 Take advantage of the 168 built-in sewing stitches, or make your own with the Brother exclusive My Custom Stitch™ feature! Whether monogramming specialty items with the built-in monogramming font, or embellishing crafts with the six built-in embroidery lettering fonts, your creativity has no limits when you use the affordable, easy-to-use NV-950D! 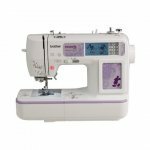 Maximum embroidery area of 4" x 4"
Shipping Dimensions (H x W x D) 15.3" x 20.3" x 17.5"